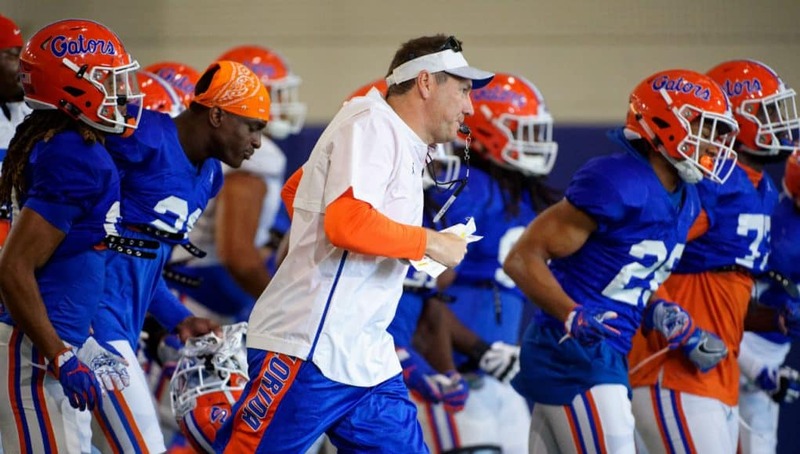 Dan Mullen spoke to the media on Thursday to look back at the last week of spring practice, including Thursday’s scrimmage. He talked about the growth of Feleipe Franks, the overall talent of the roster and his role in creating the schedule. 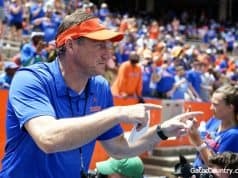 •	Mullen saw some separation in last week’s scrimmage of the guys who are ready to go play in a game. •	Kadarius Toney is becoming more comfortable in the offense, and Mullen said that will lead to more opportunities for him and make him more dangerous. •	Mullen gave his coaches a couple days off this week because it is spring break for schools in the county. He said it would be hypocritical of him to preach being a family to recruits while not being a good father and husband to his family.